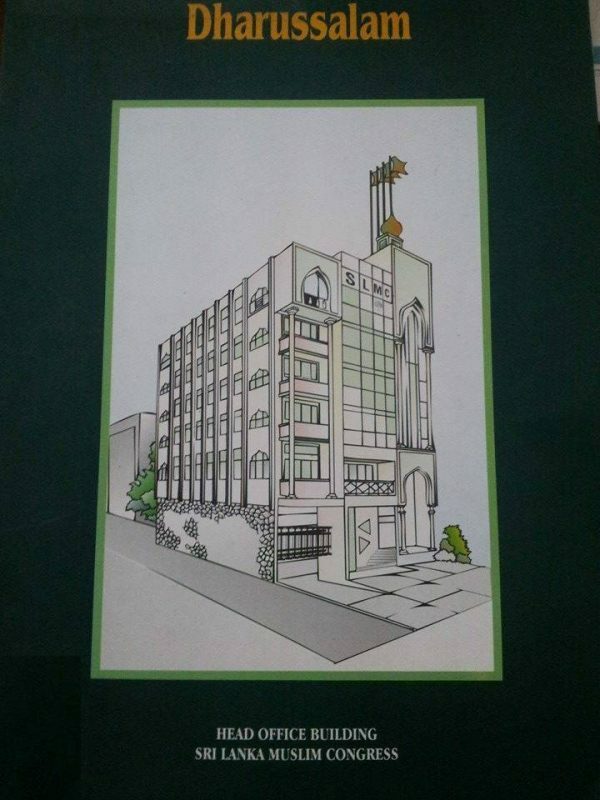 “Dharussalam” meaning “abode or house of peace” is the name given to the Sri Lanka Muslim Congress (SLMC) headquarters at 53 Vauxhall lane in Slave Island or Colombo 2. The impressive seven storey structure was constructed mainly through the untiring efforts of M.H.M. Ashraff the legendary leader of the SLMC. “Dharussalam” was officially declared open on October 23rd 1998.Ashraff formed a trust on July 23rd 1999 and vested Dharussalam in that trust. The trust was named ‘Leaders Obligatory Trust for Unity and Sri Lankan Identity’ and was known by the acronym LOTUS. An executive board for the trust was also set up. Another company Unity Builders Ltd was formed to administer and maintain Dharussalam. Ashraff who headed both the LOTUS and its Executive board during his lifetime was killed in an air – crash on September 16th 2000. After Ashraff’s tragic demise in 2000 there was a leadership tussle between his widow Ms. Ferial Ashraff and the party Secretary – general of the time Rauff Hakeem. Eventually the mantle of Muslim Congress leadership fell on Hakeem’s shoulders. Effective control over the SLMC headquarters “Dharussalam”also passed to the party leader’s hands gradually.How this state of affairs came about is an interesting tale worthy of recounting at another time. 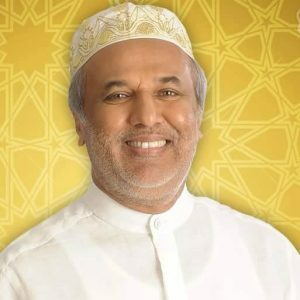 As of now Rauff Hakeem in his capacity as Sri Lanka Muslim Congress leader is in overall control of party headquarters”Dharussalam”. Currently there is an on going internal political storm within Sri Lanka’s foremost political party representing Muslims in the Island. In the eye of that storm is the abode of peace or Dharussalam. Questions have been levelled against the SLMC Leader Rauff Hakeem about the ownership and management of Dharussalam. Paradoxically these questions have been raised publicly by none other than the SLMC chairman Basheer Segu Dawood himself. 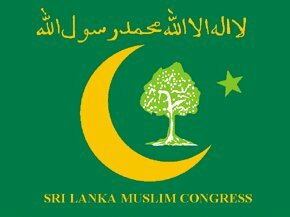 In a further display of dramatic irony the SLMC high command meeting held within the precincts of the abode of peace turned rowdy when some party stalwarts attempted to silence their party chairman by shouts and threats.“Dharussalam” is now the issue around which a controversy rages within the Muslim Congress. As stated in these columns earlier there was a time when Basheer Segu Dawood of Eravur in Batticaloa District and M.T. Hasen Ali of Ninthavur in Amparai District were regarded as the right and left hands of Rauff Hakeem. Hakeem was the “Thalaiver” or leader of the SLMC while Segu Dawood was “Thavisaalar” or party chairman. Hasen Ali was the secretary “Seyalaalar”. Together Rauff Hakeem ,Basheer Segudawood and Hasen Ali comprised the trinity at the helm of the Sri Lanka Muslim Congress. Unfortunately for the SLMC this trio of leaders got disunited and split three- ways.While Hakeem remains alone there has been in recent times a tactical alliance between Segu Dawood and Hasen Ali. This division among the top SLMC trio is at the root of much discord and dissension within the party. The current storm over the Dharussalam issue too has to be viewed against this backdrop of SLMC intra-leadership conflict. The control and management of Dharussalam as well the question of assets belonging to the party has been a source of dissatisfaction within the rank and file of the SLMC for a long time. Despite the mumbling and grumbling the issue was not aired publicly. It was treated as a “Paesaapporul” (topic one does not speak about) within party folds. Initially this bubble of silence burst when twelve members of the SLMC’s supreme body known as the “Athi Uyar Peedam” or High Command signed and submitted a letter to party secretary – general M. T. Hasen Ali. The SLMC high command consists of 90 members. In the letter sent on October 15th 2015 , the High Command members numbering a dozen, raised questions about the functioning, ownership and management of Dharussalam. Hasen Ali responded by saying that he as party Secretary had no knowledge of these matters and that the party leader was responsible for these matters.The secretary – general’s evasive reply suggested that “something was rotten in the state of Denmark”. However there was no effective follow – up to the letter by the dozen signatories. 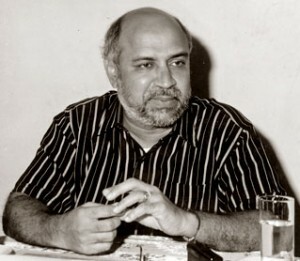 At least three of the twelve signatories were regarded as Rauff Hakeem loyalists with one of them being a close relative of the SLMC leader.At a subsequent meeting of the party high command both Rauff Hakeem and SLMC National list parliamentarian MHM Salman addressed the questions in the letter and assured the gathering that everything was hunky – dory. The matter seemed to have ended there. The issue was raked up eight months later by party chairman Basheer Segu Dawood. In a letter sent to SLMC Leader Rauff Hakeem on June 3rd 2016, Basheer Segu Dawood referred to Dharussalam and other assets of the Muslim Congress.After a preamble explaining his stance, the SLMC chairman raised specific questions.Segu Dawood claimed that he had been alerted to these problems after the letter sent by 12 High Command members in October 2015. Basheer said he was sending this letter as no detailed clarification had been issued by the party leader for 8 months. There was apparently no response from Hakeem to this letter. Segu Dawood then fired his next salvo a month later on July 11th 2016. He sent copies of his earlier letter to all members of the SLMC high command and also to party branch officials. The letter written in Tamil with an English translation was widely circulated among SLMC party cadres. Actually Basheer Segu Dawood being a close confidante of Rauff Hakeem was very knowledgeable about the true position of Dharussalam and other SLMC assets. He needed no enlightenment from Rauff.It was quite obvious that Basheer was feigning ignorance and raising questions solely to embarrass Rauff Hakeem. Though much of what was written in the letter was known to SLMC old timers many of the new members particularly the youths were troubled by the contents of the letter. Some began wondering whether there was mismanagement bordering on corruption in these matters.There were rumblings of discontent against Rauff Hakeem on account of this. Rauff Hakeem maintained a dignified silence outwardly by not responding directly to Basheer Segu Dawood. However Hakeem’s acolytes made it known that there was absolutely no problem in these matters and that Segu Dawood was creating an unnecessary controversy to undermine the SLMC leader. Segu Dawood was faulted for going public with the issue instead of discussing it at an internal party meeting. It was emphasised that SLMC leader Rauff Hakeem was always ready to answer any question as long as it was raised properly within the party. He would not respond to issues inappropriately raised in public or through the media.The leader would answer the chairman at the party conclave it was said. The SLMC “Athi Uyar Peedam” met on August 23rd 2016 at Dharussalam.The letters of invitation sent out clearly stated that answers to questions about Dharussalam and party assets would be provided at the meeting. There was much excitement within party members that comprehensive answers would be given to queries raised by Segu Dawood. Many SLMC High command members had been disturbed by the indirect allegations of the SLMC chairman. They hoped that he would be silenced by an effective coherent response from the party leader. These party loyalists were worried about the potential damage to SLMC interests by this controversy. Some Muslim congress stalwarts hoped that Segu Dawood would be cut down to size by Hakeem’s response. A few wanted to pressure Segu Dawood into resigning as chairman and replacing him with Akkaraipattru strongman and Rauff hakeem loyalist A.L .Thavam. To any person familiar with the history of the Muslim Congress the twelve questions posed by Basheer Segu Dawood would not have been something new. However to a new and younger SLMC membership the questions by themselves were revelatory. Moreover Segu Dawood had cleverly exposed the perceived shortcomings of the hierarchy in running Dharussalam and other related matters through a well-packaged questionnaire. He had succeeded in presenting his case well through an exercise amounting to placing old wine in a new bottle. 1. The names and details of the present members of the Executive Board of “ Leader’s Obligatory Trust for Unity and Sri Lankan Identity” ( LOTUS). 2. The details of the properties vested with “ Leader’s Obligatory Trust for Unity and Sri Lankan Identity” ( LOTUS), the revenue generated out of these properties, as well as the details of the people who are involved in maintaining the same. 4. Details of the person or institution that is responsible for the maintenance of “ Dhaarusalam”. • What is the monthly revenue generated? • How much has been generated for the past 16 years? • Did the SLMC receive this income and does it reflect in the accounts of SLMC? • If so, has it been banked and if so in which bank account and its details? • Was this revenue disclosed in the statement of accounts declared in annual delegates conferences? 7. Can I have the names & addresses of all the individuals who served as board directors of “Unity Builders ( Pvt) limited” from incorporation ( 1998) to date, along with copies of all board resolutions passed during the period 1998 to date?. 8. Despite “ Unity Builders(Pvt) Limited being an organization incorporated for the party’s welfare, why has the High Command been kept away from the changes effected on 29th January 2015,in relation to the board of Directors of this company?. 9. Will you be able to furnish copies of the deeds of the bare land, purchased by our leader Ashraff a few months prior to his demise, from “ Carsons & Cumberbatch Limited” adjacent to “ Dhaarusalam “ bearing old assessment no, 53, Vauxhall lane, Colombo 02, which was attested by Attorney Nizam Kariappar in year 2000, as well as the deed executed in 2012, bearing the new assessment number 55/11, Vauxhall lane, Colombo 02. 10. Are you aware of the force behind the legal action instituted against SLMC in 2006, which handicapped the party from contesting the elections under the tree symbol?. Has that person being awarded an important position in the party now?. The court ordered that the Plaintiff in this case namely Jamaldeen Ishak, to pay a compensation of Rupees One Hundred Million to the Leader of SLMC and a further Fifty Million rupees to the Secretary General of SLMC. Subsequent to this judgement, this individual went to a Middle Eastern country, and was living in hiding. Now, one can observe him freely living in Eravur. What happened to the judgement of this case?. Did the Leader and the Secretary General receive the said compensation? If so, does it reflect in the accounting statement of the party? If it has not been received yet, what action have you taken thus far, to recover it? 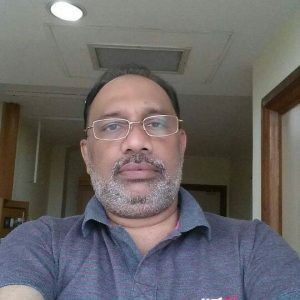 According to what I gather from the public, this person Ishak, has been used as a tool by an individual who is presently holding a high position in SLMC as well as in the Eastern Provincial Council. I also reliably understand that efforts were afoot to obtain an affidavit from Ishak to this effect. Was an affidavit obtained? If so, can you provide a copy of same? 11. 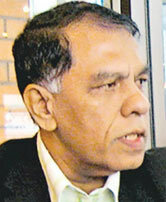 When you took a decision through the high command in 2012, to bring back Mr. Nazeer Ahamed into the fold of SLMC, you announced in the high command, that consensus has been reached between Nazeer Ahamed and SLMC, where the former will legally transfer all properties of the SLMC, held under his custody and in return, the party will appoint him as one of its deputy leaders. As agreed, the party appointed him as a second deputy leader . Moreover, Let us assume, that the party demonstrated its magnanimity, by granting nomination under the tree symbol to contest the provincial council elections in 2012 and made him a member of the provincial council, and then a Provincial Minister and as Chief Minister later. Can you let me know, whether he has kept up to his commitments regarding his part of the bargain . If so, can I have details of the transactions? 12. 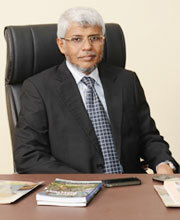 To the best of my knowledge, Mr. Nazeer Ahamed has been serving he board of “Unity Builders (Pvt) Limited” a few times. During that period, the legal action filed by SLMC under case reference 7350/SPL, claiming the ownership of the bare land adjacent to “Dhaarusalam”, which was claimed to be a property owned by “Unity Builders (Pvt) limited” was settled amicably where the latter consented to handover the ownership back to SLMC. As a result, during the period when Nazeer Ahamed”s close family members were the Directors of “ Unity Builders (Pvt) Limited”, by way of deed number 4155 executed on 17th April 2012, the ownership of this property was transferred to the party. Apart from the above, I am not aware of any other properties being returned back to our party. As such, kindly let me know whether any other properties belonging to the party, has been returned back by “ Unity Builders ( Pvt) Limited”, any other entity or any individual. Some of the issues raised through questions by Basheer Segu Dawood also relate to SLMC Eastern Province chief minister Zainulabdeen Ahamed Nazeer. Political observers opine that an important factor contributing to the deterioration of relations between Hakeem and Segu Dawood was the “Hafiz”. A Hafiz in Arabic refers to a person who has memorized all 6236 verses of the Holy Quran. Though an engineer by profession Nazeer is one of an elite group of Sri Lankan Muslims who has memorized the Quran. As such he is highly respected and entitled to the prefix “Haziz”.The female equivalent is “Hafiza”. Nazeer was closely associated with the late MHM Ashraff and a favourite of the SLMC leader. He was placed in charge of Unity Builders that was responsible for maintenance of Dharussalam. Ahamed Nazeer along with Rauff Hakeem was a member of the LOTUS Executive Board also. The death of Ashraff and subsequent developments resulting in the ascendancy of Rauff Hakeem caused many convulsions within the party. One such schism was between Rauff Hakeem and Ahamed Nazeer . This led to legal proceedings of a bitter nature.Nazeer also started a new political party called Democratic Unity Alliance(DUA). The acronym DUA is significant because it means a supplication to “Allah” or God. In a dramatic development Hakeem and Nazeer decided to bury the hatchet in April 2012. It was announced that the DUA would merge with the SLMC. Nazeer Ahamed was appointed a vice – president of the Muslim Congress. Thereafter good fortune smiled upon the Haziz. In 2012 he contested the Eastern provincial council elections from the Batticaloa district and won. He was made a provincial minister.In 2015 Ahamed Nazeer became the chief minister of the Eastern Province and remains so still. Nazeer’s re-entry into SLMC folds and rapid political rise was not to Basheer’s liking. Both Segu Dawod and Nazeer hail from Eravoor in Batticaloa district. There was little room for two Eravoor swords in the Batticaloa district scabbard. The chasm between Segu Dawood and Hakeem began to widen even more after Nazeer re-joined the SLMC. It was even suspected that Hakeem had engineered the rapprochement with Nazeer to reduce Segu Dawood’s influence in Eravoor. There was however a far more important reason for Rauff Hakeem to smoke the peace pipe with Ahamed Nazeer . The vexed legal and extra-legal hassle over Dharussalam and other properties came to an end as a result of arriving at an understanding with Nazeer . Besides the well-endowed Nazeer also infused the party coffers with funds for the provincial poll. Moreover ownership of Unity Builders was believed to have been transferred to Rauff Hakeem and lawyer MHM Salman. Unity Builders was responsible for administering and maintaining Dharussalam and had also purchased adjoining property from Carson Cumberbatch. 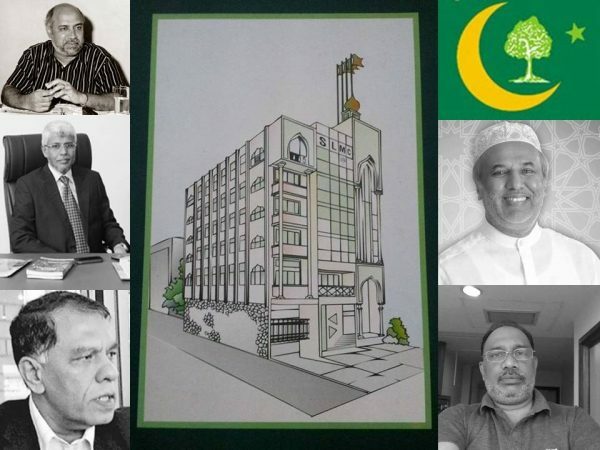 If ownership of Unity Builders had indeed been transferred to Hakeem then it could only mean that the SLMC leader who was already head of the LOTUS Trust would now be in complete control of Dharussalam. It was in this situation therefore that Segu Dawood fired off his missive to Rauff Hakeem.Unless the Muslim Congress leader was prepared to answer Basheer Segu Dawood’s questions comprehensively and satisfactorily there was bound to be an erosion of confidence in Rauff Hakeem by intelligent and honest party activists. Many of Rauff Hakeem’s loyalists were supremely confident that their leader would be able to get the better of Segu Dawood in this exercise. Some even predicted that the SLMC chairman would keep away from the High command meeting. This did not happen. Both “Thavisaalar” Segu Dawood and “Seyalaalar” Hasen Ali participated in the meeting. Initially Rauf Hakeem addressed the gathering and provided an explanation about the prevailing situation regarding Dharussalam, the LOTUS and Unity Builders. 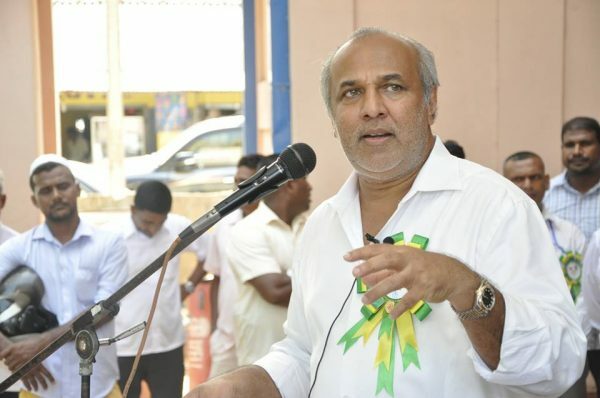 Though he did not directly address the questions raised specifically by Segu Dawood in his letter, Rauff Hakeem covered much ground by referring indirectly to them. Hakeem was followed by Nazeer Ahamed who also addressed some of the points made by Basheer Segu Dawood in his letter. It appeared that both Hakeem and Ahamed had convinced the High command members through their explanations. It is also noteworthy that the majority of the High Command consisted of Rauff Hakeem loyalists. It is estimated that at least 65 -70 of the 90 member “Athi Uyar Peedam” are diehard supporters of the SLMC Leader. SLMC Chairman Basheer Segu Dawood was not satisfied. While Hasen Ali remained quiet Segu Dawood was on his feet protesting. He said that neither Rauff Hakeem nor Ahamed Nazeer had answered the issues raised by him in his letter. Instead of responding directly both had been evasive and beaten around the bush, charged Segu Dawood. He then proceeded to outline his questions to the audience and attempted to explain how they had not received a proper or adequate answers. At this juncture some members of the High Command began remonstrating with Segu Dawood. Several accusations were made against him. Mr. M. T. Thameem from Chilaw said that Segu Dawood had met with Mahinda Rajapaksa when he was President and betrayed the party. At this point Segu Dawood lost his cool and shouted back in Tamil “ Naan Mahindavidam Aen Poanaen Endru Thalaivaridam Kaelungal”(Ask the Party leader as to why I went and met Mahinda). Speaking further Basheer Segu Dawood said in Tamil “Who asked me to go and meet Mahinda? Ask him! He knows everything.Ivaraik Kaelungal(Ask Him)” and pointed his finger at Rauff Hakeem. Continuing in the same vein with his finger pointed at Hakeem, Basheer said “ To protect whose self-respect did I go to meet Mahinda? –Ask him! To save which political party and leader did I go to see Mahinda ?-Ask him!”. While most of the High Command members were taken aback by Segu Dawood’s outburst , Rauff Hakeem kept silent avoiding Basheer’s eyes. The popular belief for a long time had been that Segu Dawood met Mahinda Rajapaksa secretly behind Hakeem’s back.Now Basheer’s bombshell revelation seemed to absolve the SLMC chairman. As a senior SLMC member told this column “Segu Dawood seemed very sincere in saying this. Hakeem’s silence suggested he was in the wrong”. Basheer Segu Dawood then proceeded to dissect the explanations made by Hakeem and Nazeer . He began alluding to the questions raised by him and pointed out that the answers had addressed them inadequately or avoided a specific response. In the aftermath of Segu Dawood’s emotional outburst the audience was far more receptive than earlier to what Segu Dawood was saying. It was at this point that a “gang of five” began targeting the SLMC chairman. They began shouting,hooting and jeering at Segu Dawood demanding that he shut up.Basheer was unyielding. Several persons in the audience started shouting at the five troublemakers asking them to let Segu Dawood spreak. A few asked SLMC leader Hakeem who was presiding to rein in the gang of five. Most of the High Command members however kept quiet and remained silent spectators. They may have wanted to hear what Segu Dawood was saying but certainly did not want to incur the displeasure of leader Hakeem. It was blatantly obvious to many that the five persons attempting to silence Segu Dawood had the tacit support of the party hierarchy. Hakeem did make some gestures asking the gang of five to be quiet but they pointedly ignored him. As Pandemonium continued to reign, the SLMC leader wound up the meeting with “Salawaat”prayers.Thus ended the SLMC High command meeting. The SLMC High Command meeting seemed to have vindicated Basheer Segu Dawood in the eyes of many SLMC stalwarts. For one thing it was now known that the SLMC Chairman had met Mahinda Rajapaksa at the behest of Rauff Hakeem. Furthermore Hakeem had been critical of Segu Dawood for raising issues in the open instead of discussing them within the party. Now Basheer had done so and tried to convey his opinion at the High Command meeting but he had not been allowed to speak out. If indeed Rauff Hakeem had been unable to control the gang of five then it indicated his weakness as a strong leader. If on the other hand the gang of five was acting with Hakeem’s tacit consent, that too reflected badly on the SLMC leader’s inner party democracy. What seems crystal clear now is that Basheer Segu Dawood has drawn blood by his open letter about Dharussalam. The fact that Rauff Hakeem and Nazeer Ahamed were constrained to provide explanations at the High Command meeting demonstrates this. After all this state of affairs has been prevailing for quite a long time without anyone daring to question it. It is well –known that all is not well with Dharussalam and other SLMC assets but none had raised any issue about it. It remained an unspeakable topic or forbidden subject. Even Basheer Segu Dawood went along with this position when he was closely associated with Rauff Hakeem. It is the current rupture in relations between Hakeem and Segu Dawood that has compelled the latter to take the moral high ground now and place the former on the defensive. Events are moving in such a way that Rauff Hakeem cannot afford to remain silent or evasive on this issue any longer. Instead of letting Basheer Segu Dawood call the shots, it is time for Hakeem to wrest back the initiative. For this he and Nazeer together should provide a comprehensive and clear statement about the exact situation pertaining to Dharussalam and other SLMC properties. They should clarify matters about the agreement between the SLMC and DUA. This should be a pro-active exercise and not be seen as being re-active to Segu Dawood’s onslaught. Above all the response should be candid, correct and credible. There should be no “Faux Pas” as in the past like under valuing property purchased via last minute tippexing. Setting the record straight about Dharussalam is something which the Sri Lanka Muslim Congress hierarchy owes to the party, to party faithfuls described as “poaraligal’,the Muslim community which the SLMC represents and to the generous donors whose lavish contributions made this magnificient edifice possible. Above all the current SLMC leaders owe it to the memory of their erstwhile leader MHM Ashraff. Dharussalam was his dream. He lived to see his dream being fulfilled but did not live long enough to utilise his dream project in accordance with his prophetic vision and lofty ideals. Ashraff chose to name the pary headquarters as “Dharussalam” because he wanted it to be an abode or house of peace.It is very disappointing and disheartening to see the house of peace being in the eye of an internal political storm. It is time for the SLMC top trio – Leader Hakeem, Chairman Segu Dawood and Secretary Hasen Ali- to patch up their differences and unite in the interests of the party, community and country. A positive first step to making peace could be the peaceful resolution of the issue of the abode of peace –Dharussalam.